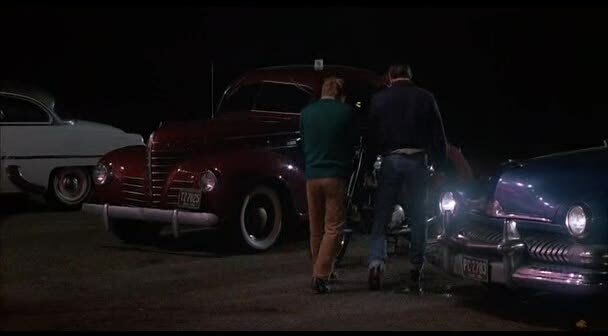 IMCDb.org: 1939 Plymouth De Luxe Coupe [P-8] in "Mischief, 1985"
I think it's a 1939 plymouth. 1939 Plymouth with later sealed beam headlights put into front fender. The original headlight lenses were square.